Sri Lankans are giving themselves a change in diet to cope with the severe shortage of popular vegetables. The shortage and sky-rocketing prices provide a challenge for the new Ministry of Food Security, which says it is taking steps to avert such situations in the long term. There is no respite, however, in the current situation. There is a visible drop in vegetable curries in lunch packets. “These days, most of the lunch packets consist of potatoes, dhal, soya, pumpkin and cucumber and chillie paste. 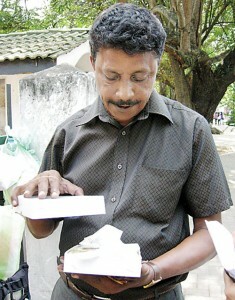 There’s just kankung for the greens,” a lunch packet seller near the Colombo University said. 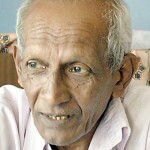 K. Asoka, a vegetable seller at the Manning Market in Colombo for 36 years, attributes the shortage to the recent heavy rains that that caused mass destruction of vegetable crops in the hill country as well as floods that affected low country vegetable cultivation. “Usually after floods or heavy rain it will take 45 days or more for the vegetables to return to the market. Until that we have to resort to alternatives,” he said. Different vegetables are appearing on plates at home, in commercially-sold lunch packets and in supermarkets with prices of most vegetables at Rs. 200 a kilo, some even at Rs. 300-400 a kilo. Large qualities of tender jakfruit, kohila (lasia spinosa), innala (Chinese potato), manioc, raw mango, amberella (golden apple) are replacing popular vegetables such as carrots, leeks and capsicum in the market. Most of the highest-priced vegetables are from the up-country where last month’s heavy rains caused havoc and destroyed most of the vegetable plots. Carrots are fetching Rs. 270-330 a kilo, an increase from Rs.100 in December 2013 and Rs. 219 last December. Beetroot is Rs. 230-290 per kilo. Leeks, which were just Rs. 97 in December 2013 and Rs. 170 last December, are now Rs. 290-300 a kilo, and Rs.397-400 at supermarkets. Capsicum has doubled in price within a month to more than Rs. 400. Green chillies have shot up from Rs. 216 in 2013 to Rs. 750-Rs. 1000; leading supermarkets sell green chillies at Rs. 1100. The per-kilo price of cabbage is Rs.130-150; green beans, Rs. 230-240; butter beans, Rs. 270-280 and long beans, Rs. 212-240. The prices of pumpkin, kekiri, cucumber and snake gourd, however, remain low, with these vegetables now commonly seen in lunch packets. At economic centres, pumpkin and kekiri are sold at Rs. 40-45 a kilo and cucumber at Rs. 70-80. Snake gourd is Rs. 90-100. Ridged gourd (vetakolu) is in abundance at supermarkets at about Rs. 170. Bitter gourd is Rs.190-200. 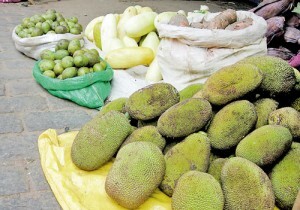 Vegetable seller Indika Ratnayake has opted to stock tender jackfruit and coconut as there was a big demand for these alternatives. “Bean stocks are gradually coming to markets. The quality is not up to normal standards for most of the vegetables, with carrots being extremely small. The cabbages are not from upcountry but mostly from Puttalam. Most of the vegetables we normally get from the hill country are coming from other areas,” he said. This is similar to the situation in Dambulla where traders are waiting for vegetable stocks including carrots and cabbage from Jaffna and the North and Northwestern Provinces. They say there is less demand for these vegetables due to the taste difference compared with upcountry produce. 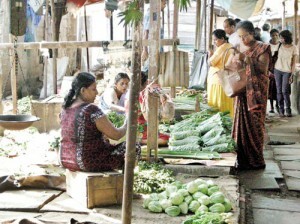 The low supply of vegetables is hurting the traders but they expect matters to return to normal by February 15. Food shops that purchase large quantities of vegetables are taking extreme measures to cut down vegetable servings. “We are substituting leeks with spring onions when making fried rice. We are trying our best to substitute normal vegetables with polos, onion sambol, potatoes and cucumber,” a food shop owner said. Imported potatoes that are sold for Rs. 50-60 per kilo are in great demand from those who purchase in large stocks, Manning Market’s welfare society Secretary Gamini Handunge said. He said the markets, usually full of wholesale shoppers, are seeing crowds at retail vegetable shops as well. “People are coming, but the problem is with reduced supply,” he said. Vyvette Silva, 65, from Athurugiriya said her household has cut down on vegetables and was buying more green leaves and other substitutes. “Our diet consists of steamed vegetables and vegetable soup. The increase in prices as well as the shortage has greatly inconvenienced us,” she said. Shyamalie, a housewife shopping at Pettah, is making lentil curry more often frequently as a substitute for vegetables. Ajantha de Silva, immediate past president of the Housewives Association, said the State should intervene to prevent such shortages in the future. “We all want our children to have healthy meals and vegetables are an essential part of this,” she said. 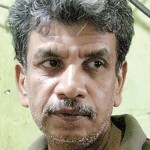 Food Security Minister Gamini Jayawickrema Perera said the new ministry has a long-term plan to prevent such situations. “This is one of the issues which will be addressed when we set up a Food Security Committee where action will be taken to meet such situations. This Committee will look into crop patterns and forecast and take decisions regarding imports,” he added (see separate story).